The whole world is scared of China made 'black hearted goods'. Can you differentiate which one is made in the USA , Philippines , Taiwan or China ? 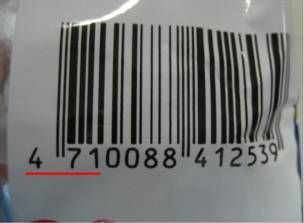 For your Information ... the first 3 digits of the barcode is the country code wherein the product was made. This information is verified on http://www.food-info.net/uk/qa/qa-fp121.htm - which has a more detailed and accurate list.